Expected to be unleashed in autumn of 2012, Windows 8, Microsoft’s latest gamble in the desktop market is making millions of eyes turn even before its release. Loaded with a brand new yet somewhat contentious Metro interface, the touch-friendly desktop will not only be seen on laptops and PCs, but will also find its place in the swanky upcoming tablet computers. That said, the main target group for Redmond would be the desktop, a field that they've been dominating for decades. Windows 8 will aim to obliterate all the competition by giving users an interface that will look and behave the same way across all devices. Sadly for them, and quite obviously too, Metro isn't the first to try out this unified concept. Our very own Ubuntu has been busy for a couple of years trying to polish Unity, its unified interface for computers, tablets, smartphones (see: Ubuntu For Android: Do We Really Need it? ), and even TVs (see: Ubuntu TV vs. Google TV: Battle of the Linux-based Smart TV). Some even go as far as to say that Microsoft might have actually ‘borrowed’ that idea from its old penguinian buddy. Rumors apart, we at TechSource believe that Ubuntu 12.04 'Precise Pangolin', despite its meager market share, is cool enough to give Windows 8 a tough time. And so, here we are pitting the mighty pangolin against Redmond’s latest desktop gamble. Metro kind of leveled the playing field for Unity. 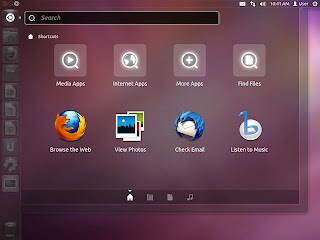 Earlier, critics made some biting remarks about Ubuntu's new interface; however, Shuttleworth, by making some much-needed changes in it, managed to silence most of the detractors. Windows 8 on the other hand, can’t manage to play such big a gamble. People pay to buy their products, and for them, another Vista could end their relationship with Microsoft. Metro, when compared head-on with Unity, feels a lot like a touchscreen interface. Unity, however, retains many features of a traditional desktop thus blending the best features of both interfaces. The apps, or rather tiles, show up readily on the main desktop and are quite interactive. Ubuntu, on the other hand, features a rather simple desktop with a big fat launcher at the left. It’s hard to be objective for a regular Linux user while comparing these two interfaces, but I think that Metro is perhaps the most ugly user interface around. No matter how much you hate Unity, Metro kind of makes Ubuntu look 100 times better. Though you can easily switch back to the default Windows interface, it still makes you wonder why Microsoft would want to do such a disastrous thing. When it comes to app switching, Windows 8, be it Metro or the classic interface, steals the show. Though the Metro is a usability catastrophe on the desktop, it still has some great features to keep Windows lovers hooked to the Redmond kingdom. Switching between apps on Unity is not only difficult but also a bit tedious. Even more so if you've opened multiple instances of the same application and you click on its icon in the launcher, you get this expose mode that is completely unnecessary. 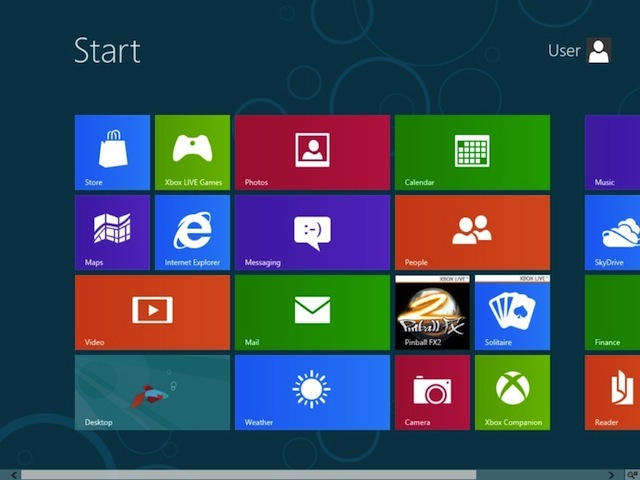 Windows 8 however, makes switching easier by sticking to the traditional app switching. Even in Metro, you can switch app much like you do on the iPhone; that is, hit a single button (Windows key here) and go back to the main screen. So, summing up, when it comes to overall ease of use, we've got to hand it to Windows 8 (sans Metro). Ubuntu has featured online integration for a long time now. Ubuntu One is blended perfectly into the Ubuntu desktop and it serves as a great backup tool for many users and as one of the best Dropbox Alternatives for Ubuntu. 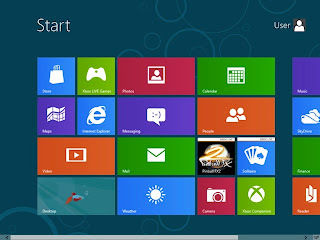 Windows 8 has stepped up the game by integrating their SkyDrive online service within the upcoming operating system. Since both of them come with almost the same amount of features, it’s hard to pick a winner here. To sum it all up, both operating systems have their own share of flaws. While Metro struggles to please a regular desktop user, Unity still sports that unbaked, clumsy look that many traditional Linuxians despise. That said, Metro is quite ahead of Unity when it comes to the interface. Unity, though ready for the desktop, is still quite unfinished to make itself popular in the tablet and phone arena. Windows 8 however is already showing itself up on various tablets across the market. So that is quite an advantage Metro has when compared to Unity. Only time will tell whether Windows 8 will be a hit or another Vista moment for Microsoft. Ubuntu 12.04 on the other hand is cruising swiftly towards perfection. "Windows 8 will run on computers that do not support Gnome3/Unity?" Those Disaster Boxes will tumble and Linux. As it is winning in Smart Phones will win over Everything. We pay for Microsoft, Linux is Free, still both are comparable. Ubuntu isn't all that great I had a pc that ran win 7 fine and when I tried to install Ubuntu it crashed during the install and I tried several times to resolve the issue. I finally gave up and installed Fedora 16 instead. So it wasn't like it couldn't run Linux. It's funny, Bill Gates DOES donate a lot. And I don't understand the fuss around Ubuntu, it is ugly and slow and only half baked most of the time. Fedora or Debian are both much much better. So what? Debian is still much better. Junk vs. Rubbish. Both were designed for use on touchscreen devices, neither will be tolerated on a desktop system by a productive, professional user. Too deeply invested in Ubuntu to switch? Linux Mint with the Cinnamon desktop FTW. "neither will be tolerated on a desktop system by a productive, professional user"
You're being silly, both will be tolerated... why do you say such silly things? both have useless fanciness for a serious user.